What is it about the Fall that makes me want to make buckets of soup, even though it's just the two of us? Autumn is my favorite season, and probably the reason it's so special to me, is that it is so short lived. Last month when the leaves just started to turn, we went up-north to our daughter's for a long week-end to celebrate Autumn. In addition to helping her can tomatoes, we saved the best to the last and planned on Sunday (our last day there) to go to a popular Cider Mill with hay rides, pumpkin buying, fresh pies, jams & jellies, cider & doughnuts. We had been there a few years ago, and I was looking forward to their Apple Butter with extra cinnamon. This place is located in rural Northern Michigan, rolling hills & forests, in a large red wooden building (cutsie-pie place) with hundreds of acres. 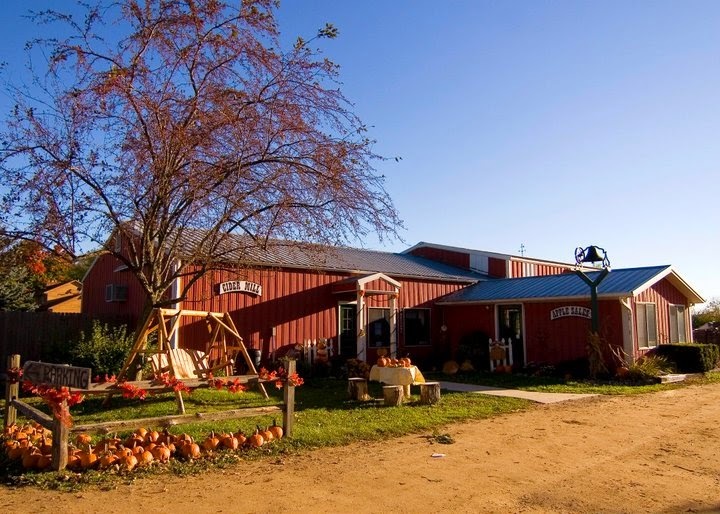 Outside is a corn maze, a huge orchard, wooden playground, hay rides (tractors or horses, your choice) and pumpkin & squash picking acres for those who want to do it themselves. The one thing that we were all looking forward to, was feeding the goats. They had a wooden structure that had a fenced-in platform about 20 feet off the ground, with stairs leading up to. 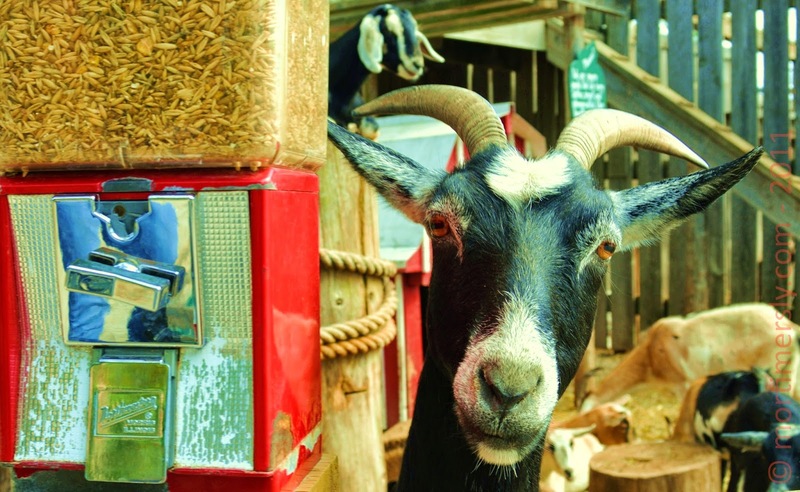 When you put a quarter into a machine, it would give you a handful of goat food and the goats would scramble up the stairs to get their treat. ( pulled up in a metal cup on a chain ). Arriving there after an hour's drive, I looked at the parking lot and said "AUT - OH"...It was closed. "CLOSED ON SUNDAYS TO CELEBRATE THE LORD'S DAY"
During the 20 or so minutes we stayed there trying to find a quarter between the 5 of us, looking on the ground for a lost quarter, scrounging under the SUV's seats for a quarter etc. ...there were at least 6 or more cars driving up with eager kiddies, then drove away disappointed. I thought DAMN ! !...you people and your delusion are spoiling every one eles's good times. But then, with believers, it's always what they think that matters --- everyone else is going to hell anyway. I felt sorry for the goats as I looked back at them, standing completely still, shoulder to shoulder on that platform looking at us leave....You could almost read the expression on their faces " Come back you cheapskates, we're starving".